Rabbits breed rapidly, having up to 5 litters of 6 - 8 young per time, they can cause major damage by burrowing in gardens and stripping young plants and crops if not controlled. 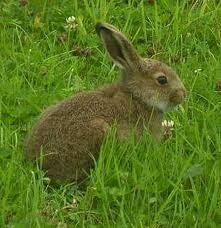 Rabbits cause over £260 million worth of damage every year. 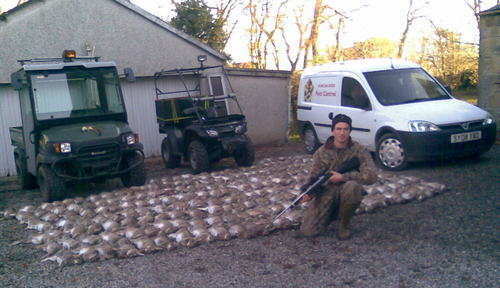 Rabbit control methods are shooting, (day and night), dogs and ferrets and gassing where appropriate.